An annual sales promotion on China's biggest online shopping site is off to an spectacular start with $5 billion of goods sold in just 90 minutes. That's equal to more than half of last year's total sales volume of $9.3 billion for the entire day and close to the 2013 all-day total of $5.8 billion. Alibaba's "Singles Day" is an attempt to get customers who are single to buy themselves gifts and has taken place for several years on November 11, chosen for its numeric date of 11/11. 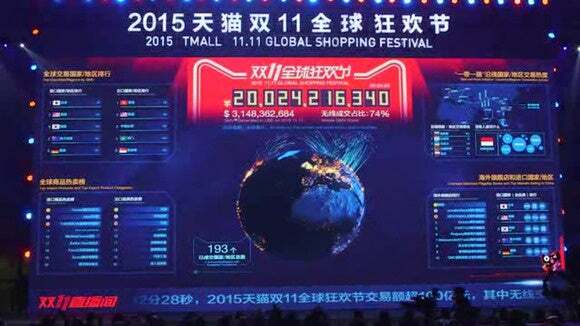 A digital screen totals sales during Alibaba's Singles Day promotion at a media center in Beijing on Nov. 11, 2015. It kicked off in Beijing at midnight on Wednesday and initial signs point to a significant increase in shopping from smartphones. 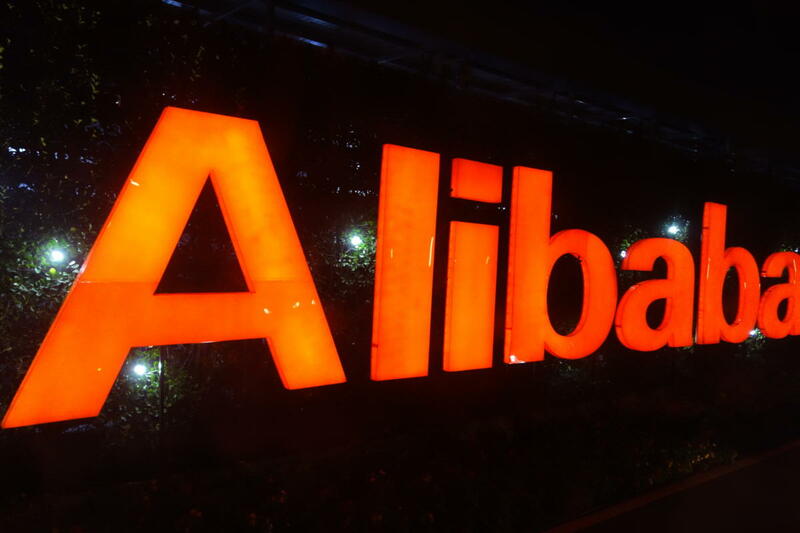 Alibaba said 27 million people purchased goods through their mobile phones in the first hour of the event. Mobile purchases using the Alipay e-money system accounted for $2.9 billion of the $3.9 billion cleared in the first hour of the promotion. That's 74 percent of the total value of goods sold. In 2014 at the same time, a little less than half of all purchases were settled via mobile Alipay. Following the success of Singles Day, Amazon created its own manufactured shopping holiday in July this year called Prime Day. It was targeted at selling more products and getting consumers to sign-up to Amazon's $99 annual membership program. The company did not release sales figures for the day.